Here are two photographs taken relatively close to home. 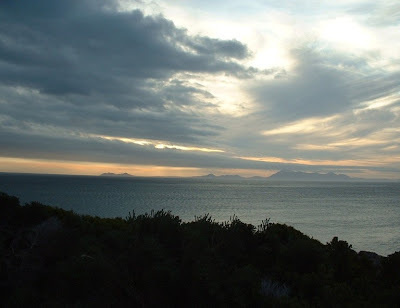 We had spent the day in the town of Hermanus, about one and half hours drive from Cape Town and were returning via the coastal route around False Bay. 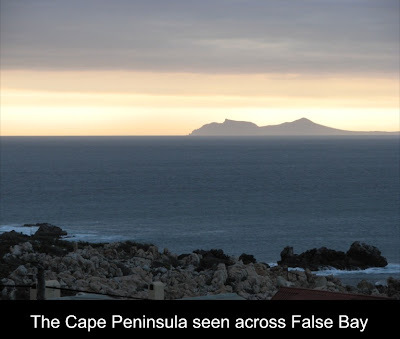 The sun was setting in an “angry” looking sky providing a wonderful and unusual view of the southern part of the Cape Peninsula in silhouette between the dark waters of the bay and the sunset painted sky.